In addition to her familiarity with the club, Norris is also quite familiar with the staff having been at the same youth club that Sporting Director Eric Rudland has worked at (first at Ann Arbor Arsenal and later Northville Rush) while also playing for Women’s Head Assistant Coach, Barry Scott. After finishing her youth career up with the Michigan Hawks (u18), Norris went on to play for the Michigan Women’s Club team. Founded in 2014, Association Football Club Ann Arbor launched it’s men’s semi-pro team in 2015 and has competed in the NPSL since 2016. Led by Head Coach & Sporting Director, Eric Rudland, the team has found great success winning back to back Great Lakes Championships (‘17 & ‘18) and earning US Open Cup bids three straight years (2017-2019). In October 2018, the club announced the launch of the women’s side, who will be skippered by Andy “Pritch” Pritchard in their inaugural season of the United Women’s Soccer national league. 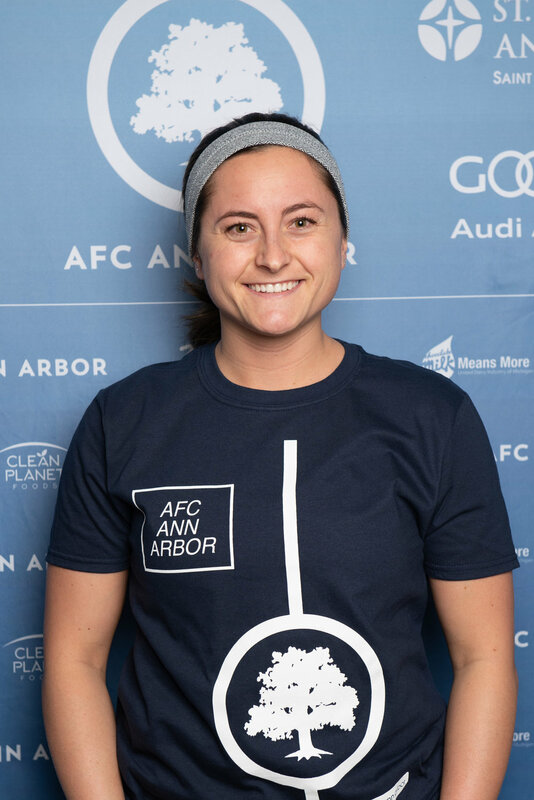 Owned and operated by a group of local soccer fans and entrepreneurs, AFC Ann Arbor has become a fixture in the greater Ann Arbor community.